Project Boogie is about to enter its next phase. 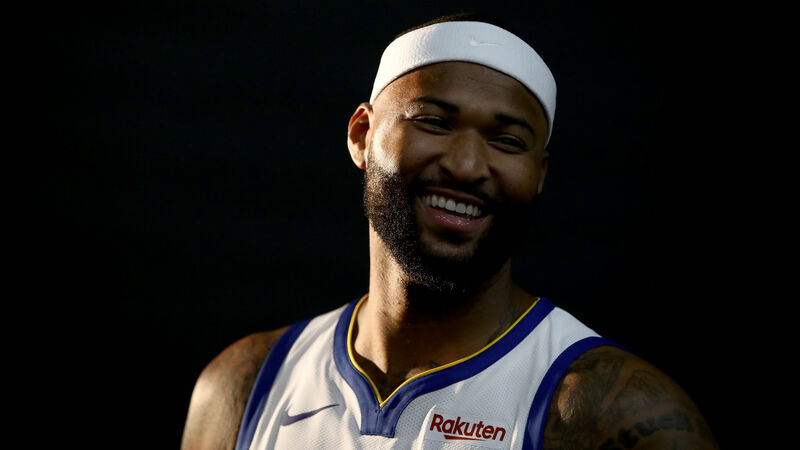 DeMarcus Cousins’ minutes are expected to increase in coming games as the Warriors big man continues to play his way back into form from a torn Achilles tendon, coach Steve Kerr told reporters Wednesday (via the San Francisco Chronicle). "It just depends," Kerr said after practice. "We’ll see how the games go. I don’t think we’ll change the plan too much in terms of how we’re going to play him in the rotations and all that, but I think once we get back into the rhythm, we can absolutely play him for longer stretches, play him down the stretch how we like." After missing almost a year with the Achilles injury, Cousins is 11 games into his stint with the Warriors, who signed him in the summer. He has yet to play more than 28 minutes in a single game, but he is expected to play longer stretches over the final 25 regular-season games as the two-time defending champions push into the playoffs, likely as the No. 1 seed in the West. Cousins, 28, no longer is under any specific minutes limit from director of sports medicine and performance Rick Celebrini, Kerr said. "We got 25 games left," said Kerr, after his team scrimmaged Wednesday for one of the first times this season. "So, find a rhythm for himself individually, but continue to work on his rhythm with his teammates." Cousins, a four-time All-Star, clearly has brought a new facet to the Warriors offense while averaging 13.9 points (with 6.8 rebounds and 3.7 assists per game) as a 6-11 presence in the post. Still, his stamina isn't there yet. Kerr said fatigue caused Cousins’ recent shooting struggles — before resting in last Wednesday’s loss to the Trail Blazers in Portland, he was a combined 6-for-23 (26 percent) from the floor in wins over the Jazz and Heat. The Warriors hope the All-Star break gave Cousins some rest he needed, but they come out of the break with five games in eight days, starting with a 10:30 p.m. ET Thursday home game against the Kings. The Warriors (41-16) enter Thursday's play in first place in the Western Conference, two games up on the second-place Nuggets.